The vote was a rebuke to the president's deal from earlier this month. The Senate overwhelmingly cleared a defense budget bill on Monday evening that reinstates tough penalties on ZTE, a Chinese telecom company accused of violating American sanctions. The vote, 85-10, is a sharp rebuke to President Donald Trump and sets Washington up for a rare showdown between Republicans and the White House. The legislation now heads to the House for reconciliation. The House's version of the bill does not include the ZTE amendment, and now the two chambers must spend weeks hammering out their differences before final passage. The ZTE amendment, co-sponsored by Sens. Tom Cotton, R-Ark., Marco Rubio, R-Fla., Chuck Schumer, D-N.Y., and Chris Van Hollen, D-Md., prohibits the entire U.S. government from purchasing or leasing equipment from ZTE and a similar telecom also cited for national security risks, Huawei. (AP) In this Wednesday, Feb. 26, 2014, file photo, people gather at the ZTE booth at the Mobile World Congress, the world's largest mobile phone trade show in Barcelona, Spain. 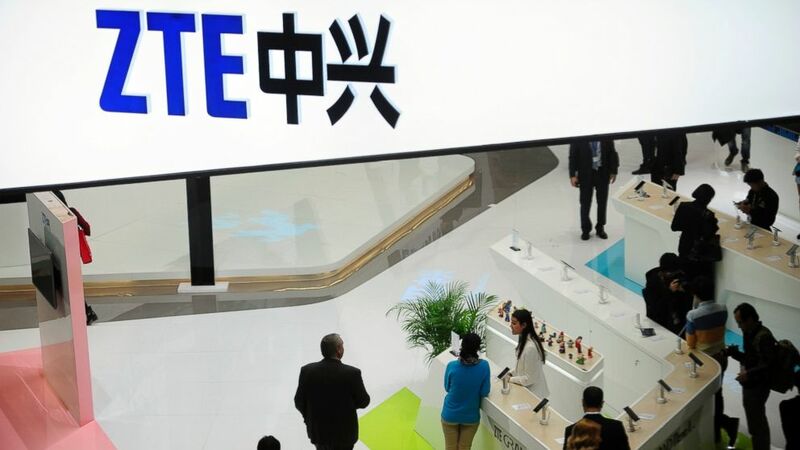 It would also restore penalties on ZTE imposed in March 2017 after the company was caught selling equipment to Iran and North Korea and making false statements assuring it had disciplined executives. Concerns about ZTE's ability to spy on Americans through its devices has also persisted. The punishments included a fine and a seven-year ban on ZTE’s ability to purchase U.S. parts. “We’re heartened that both parties made it clear that protecting American jobs and national security must come first when making deals with countries like China, which has a history of having little regard for either. It is vital that our colleagues in the House keep this bipartisan provision in the bill as it heads towards a conference," the four senators who sponsored the bill said in a joint statement. The National Defense Authorization Act (NDAA) also provides a total of $716 billion for national defense priorities. Specifically, the bill gives troops a 2.6 percent raise, which is the largest pay increase for service members in almost a decade. This bill also aims to align policies and resources to assist in implementing this administration’s National Defense Strategy. (Drew Angerer/Getty Images) Sen. John McCain attends a press conference on Capitol Hill, Oct. 25, 2017 in Washington. The Senate’s version of the defense bill is titled the John S. McCain National Defense Authorization Act for Fiscal Year 2019, after Sen. John McCain, chairman of the Senate Armed Services Committee. McCain weighed in from his home in Arizona, where the senator is battling brain cancer. 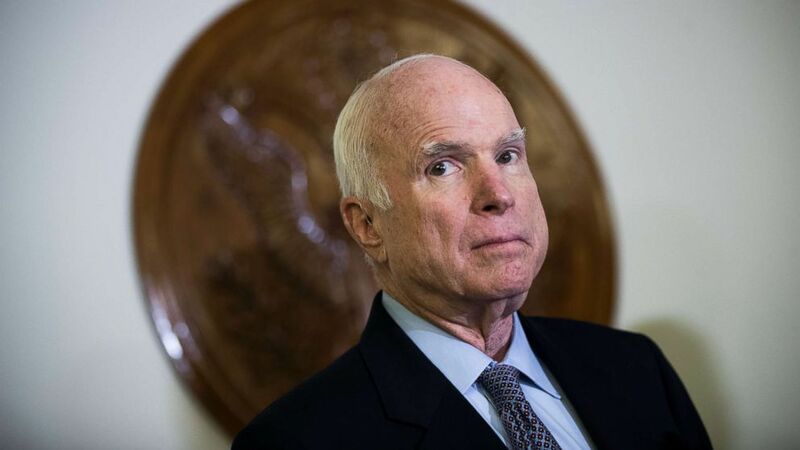 "I am proud that the Senate voted overwhelmingly to pass the National Defense Authorization Act and I'm deeply humbled that my colleagues saw fit to do me the undeserved honor of designating it in my name,” McCain said in a statement. “This legislation continues our reform agenda and helps better position the Department of Defense and the joint force to implement the National Defense Strategy by continuing to restore readiness, rebuild capacity, and modernize capabilities. "While I wish the Senate had been able to come to an agreement to debate and vote on more amendments, I am glad the legislation proceeded under regular order and that Senators [Jim] Inhofe and [Jack] Reed were able to work with leadership to incorporate 45 amendments from colleagues on both sides of the aisle," McCain added. "And I'm proud that the Senate Armed Services Committee did its work by considering and adopting over 300 bipartisan amendments during the committee markup."